This year Mahindra & Mahindra Pvt Ltd has special plans for Diwali. After launching the new Mahindra Xylo in the Indian market, Mahindra is looking forward to rolling out the mini version of Xylo this diwali and hopes to generate a buzz in the Indian market which is nowadays thriving with so many automobile bigwigs both from the country as well as from abroad. The market in India is considered as the most prospective nowadays and owing to the competition level Mahindra has decided to launch its latest upgraded models. Mahindra and Mahindra Pvt Ltd launched the Xylo Mini in Mumbai on 8th February 2012 and owing to the buzz that has been following the launch of the car, Mahindra and Mahindra plans to roll out the first lot of the car around Diwali or by the end of this year. There has already been a wide buzz circulating around the features of the car and people are keen to go for a Mahindra as the year has started on a good note for them since the second phase of booking of XUV500 receiving groundbreaking response from the population here in India. The new Mahindra Xylo Mini will be locking horns with the B-segment hatchbacks in India and hopes to give them a tough competition in the Indian market. The car is approximately 4 metres wrong which will give it an advantage to exempt excise duty that has been imposed by the Government for all those cars below 4 metres. Thus due to this relief, the buyers of the new Mahindra Xylo Mini can look forward to being in profit as the company will be profiting from the exemption of excise duty due to which the new Xylo Mini will be made more fuel-efficient and a perfect car. Mahindra is very enthusiastic about launching the car in the Indian market due to all these cost-effective factors circulating around Xylo Mini. The new Mahindra Xylo Mini will be powered by a 1.5 L common railed detuned turbocharged diesel engine and shares it origin with the 2.2 L Mhawk diesel engine that Scorpio uses. The Mahindra Xylo Mini has seen a good facelift from the Xylo which was revered to as one of the best MPV of the year and since then has constantly been into limelight. 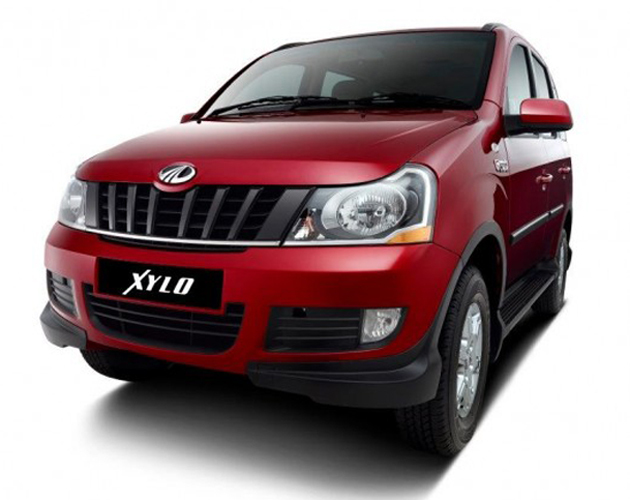 There are speculations that Mahindra and Mahindra Pvt Ltd is planning to launch the petrol version of Xylo Mini as well but seeing the escalating prices of petrol, it has held the decision of launching it this year. So there will only be the Xylo Mini diesel version on the Indian roads. The petrol engine will be having 3 cylinders along with 1200cc engine. The new Xylo Mini will be able to accommodate at least 7 passengers at a time comfortably as it is spacious and luxurious from inside. Thus Mahindra plans to sell maximum units of Xylo Mini in order to be tagged as one of the most preferred automakers in India in the MPV segment.